Photo by Claus Brechenmacher-Reiner Baumann Photography. 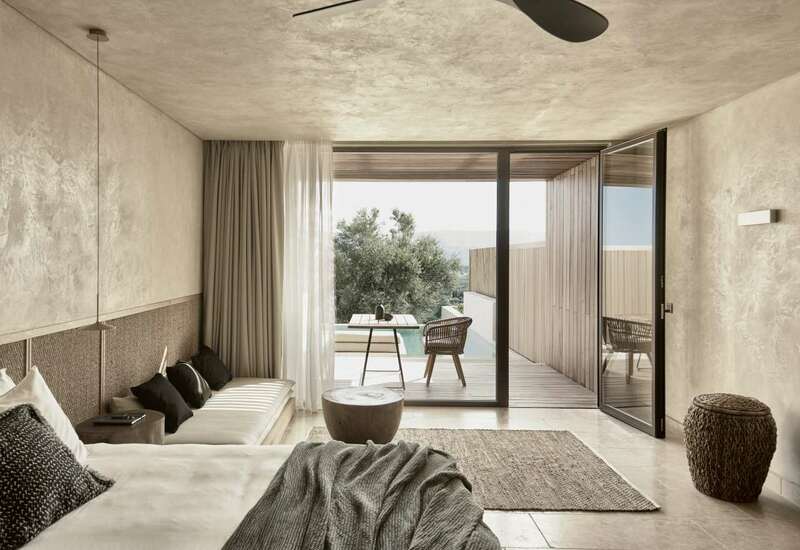 Located among olive groves on a verdant hillside on the Greek island of Zakynthos, the new Olea All Suite Hotel seems to have organically grown out of the lush landscape. 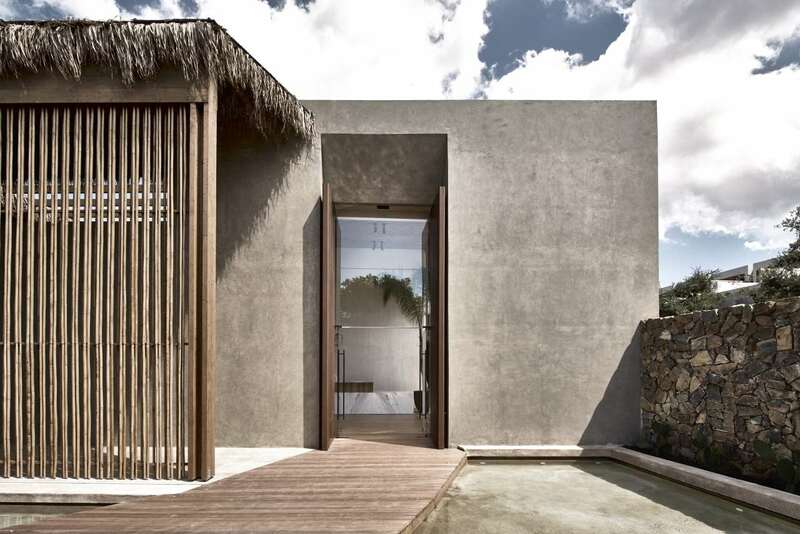 Designed by Athens and Stockholm-based architectural practice BLOCK722, the five star retreat was conceived as a pristine sanctuary of earth and water in harmonious dialogue with the surrounding nature, where guests can enjoy the comforts of understated luxury in a setting of modernist elegance and tropical sensibility. 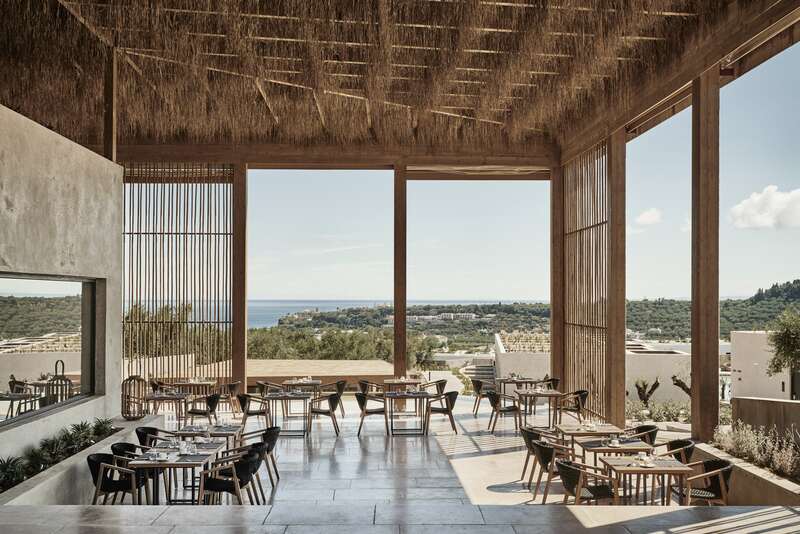 At the centre of the development is a 4,000-square-meter, lake-like pool organically following the hillside morphology in a tiered configuration, around which the hotel’s suites and communal facilities unfold. 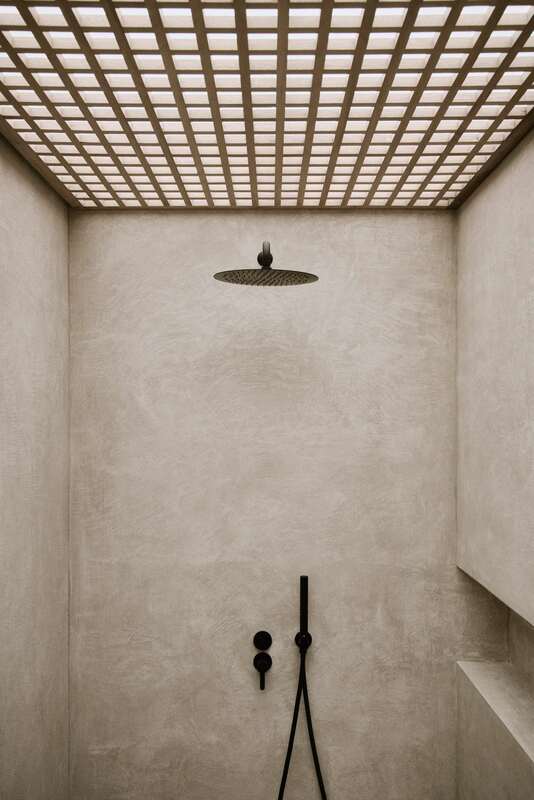 The seamless integration of guest suites and communal spaces cultivates, as the architects explain, “a unique sense of freedom and mindfulness resembling the deep state of relaxation one feels when floating”. Taking advantage of the unique, hillside location, both the suites and main communal areas are facing south in order to soak in the Mediterranean sun while also enjoying panoramic vistas that take in the rolling hills and the Ionian Sea beyond. The bar on the other hand is orientated towards the west offering guests, savouring their evening aperitifs, generous views of sun sinking into the olive groves in the distance. 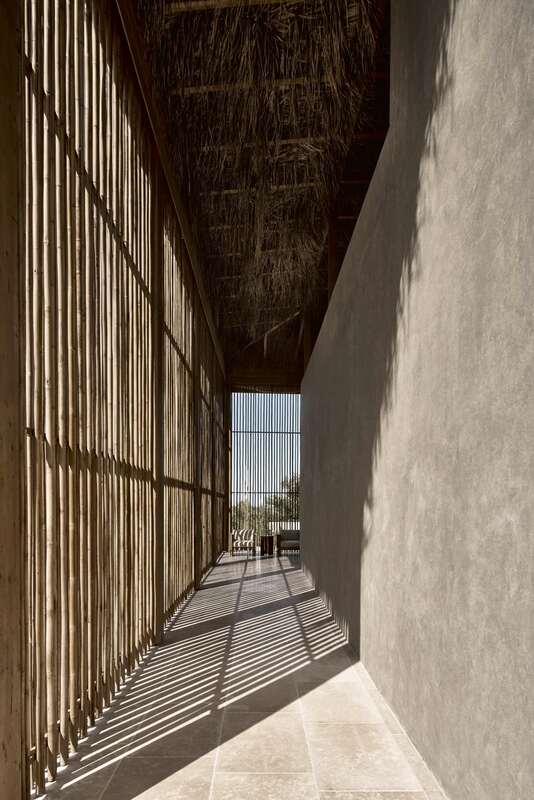 Architecturally, the resort combines the spatial purity of modernism, exemplified by stark cubist volumes, with a tropical aesthetic of thatched roofing, coloured-washed walls and bamboo screens. 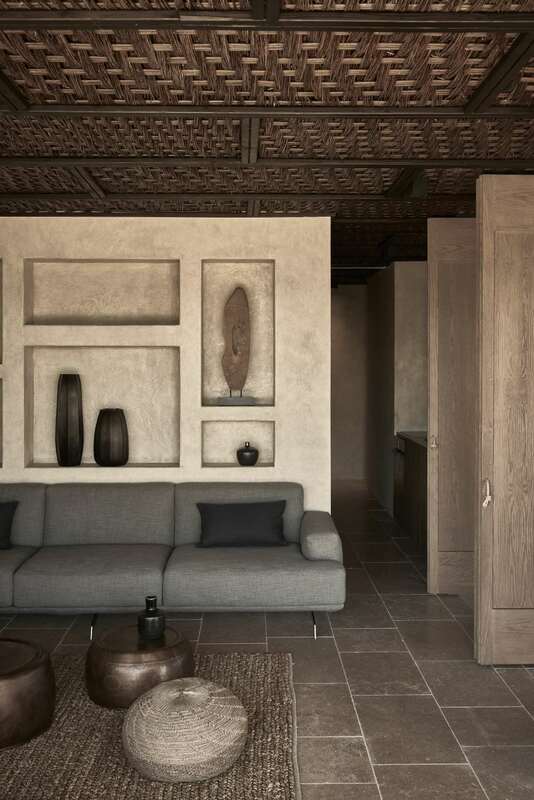 The selection of earth-toned colours, materials and textures, interwoven with hidden gardens and age-old olive trees, evocatively reflects the surrounding nature while the ubiquitous water elements throughout the resort in the form of pools, ponds and streams conjure the Ionian Sea that looms in the horizon. 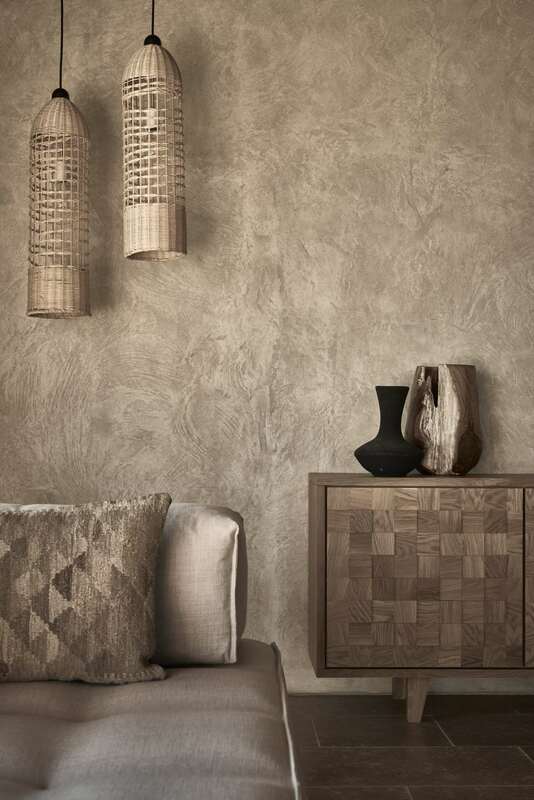 The earth-toned colour palette is also prevalent in the resort’s interior design which eschews decorative flourishes in favour of a minimalist sensibility refined by the textural richness of natural materials such as oak wood, bamboo and rattan as well as pockets of vegetation. 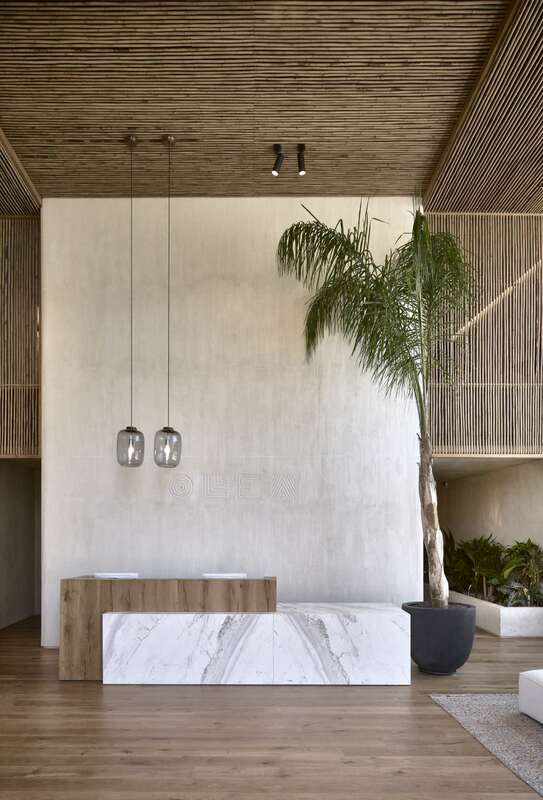 Reached by a bridge over a shallow pond, the resort’s lobby is a double-height, airy space that welcomes guests with its elegant simplicity. 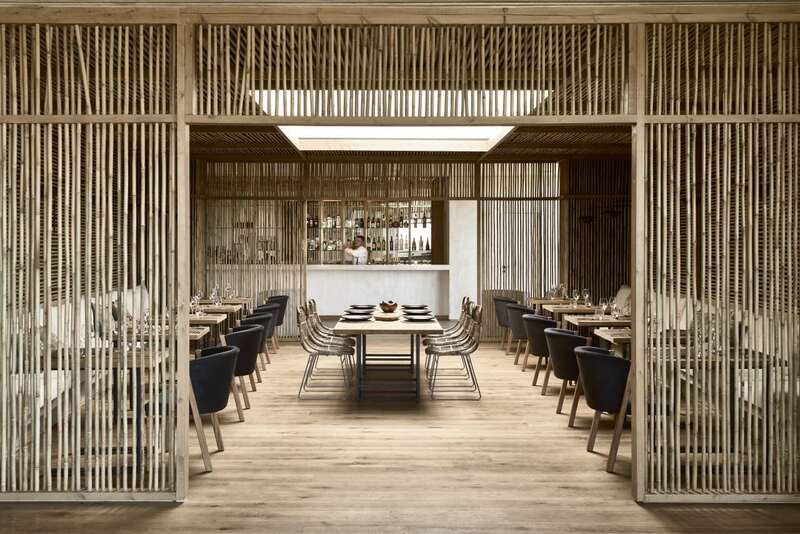 Next door, the restaurant is enchantingly enveloped by bamboo screens and illuminated by a central skylight, while the outdoor dining terrace impresses not only with its panoramic views but also for its thatched roof whose straw overgrowth evocatively sways with the breeze. 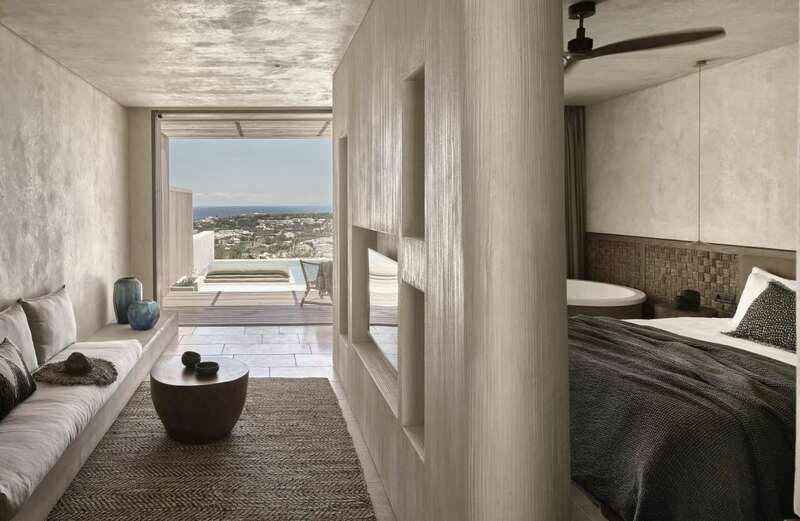 The hotel’s 93 suites come in a variety of sizes, from 36 to 105 square meters, and feature private sun-splashed terraces or balconies blessed with breathtaking views with the larger suites also offering shared or private pools. 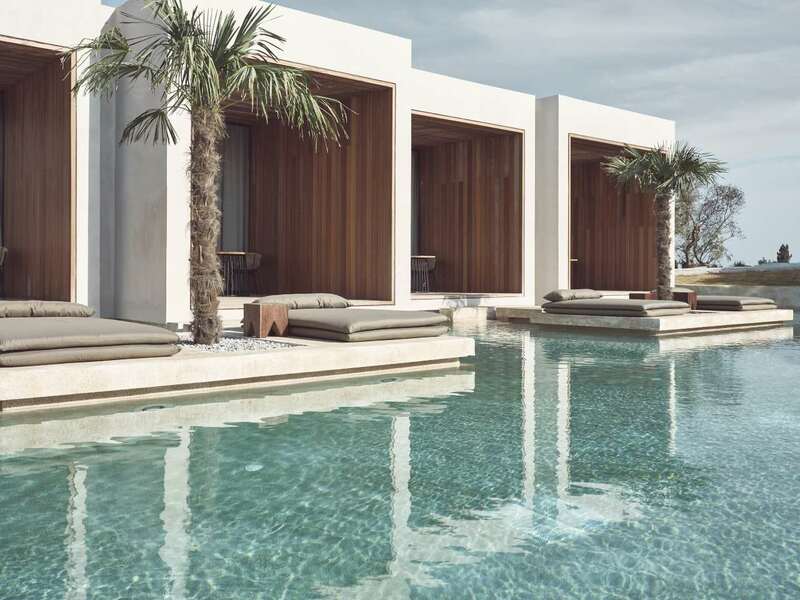 Guests also have the option to head to the Olea Royal Spa where they can visit the hammam, steam bath, sauna, and yoga pavilion or choose from a wide range of treatments with aromatic and essential oils. 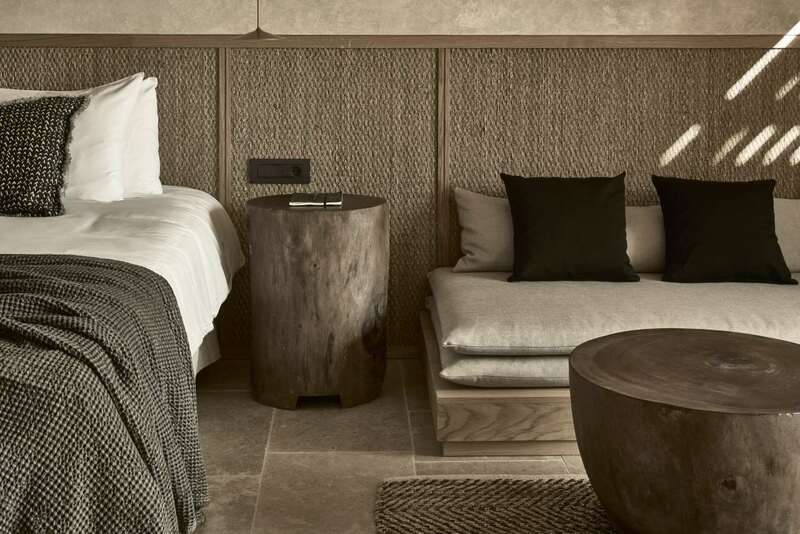 Based on Mediterranean herbs, the spa’s therapies perfectly encapsulate Olea All Suite Hotel’s refined hospitality ethos grounded in the island’s natural beauty.